Should the Bank of England update the Queen's portrait? Re: Should the Bank of England update the Queen's portrait? Yes, I do think we should have one last banknote portrait before Her Majesty gets her wooden overcoat. The current one is outdated and the least realistic or attractive of all. The extremist pro-Brexiteer chrisild has already told us he disagrees, but his ulterior motives are plain to see. Mind your tongue and wash your mouth, young man. I have the same position and I proudly confess to being an extremist, in particular when it comes to pseudo-coins, treasure-trove laws, sexist behaviour ontowards heads of state (has anyone ever argued that a MALE ruler should have a new face on the money because he had the temerity to get older? Genghis would have had your knee caps before leaving you to a pack of wolves just for thinking it) and Zimbabwean money, but I am not a pro-Brexiteer! I merely agree with George Osborne, who in a recent interview called Brexit a major stupidity and said it would happen anyway. See how the Continentals speak to us Brits about our own money. No wonder Mrs Thatcher asked for it back. There's an entrance fee to this topic, which I make up as I go along, so I'm going to have to charge you 15 pounds, 10 shillings and sixpence for your sauce. The very mention of George Osborne brings hoots of derision from Brits across the whole political spectrum. He's the smarmy ex-public school boy that everybody loves to hate, and that's before he even opens his mouth. In Britain, we are used to different portraits - on the coinage at least - of any monarchs who reign for a reasonable length of time. Other countries have done likewise: Romania in the old days; Thailand in modern times. So I think there is nothing sexist about it - that's just the typical excuse of a snowflake or SJW these days. Myself, I prefer a bit of traditional Anglo-Saxon common sense. Alan71, I have a Bank of England booklet from 1996 that includes a small picture of this same design, but with ten shillings as the denomination. The booklet is called "ALL CHANGE - 25th Anniversary of Decimal Currency in Britain". Wearing their blue velvet robes and black velvet hats with white plumes of heron and ostrich feather, the Royal Garter Knights walked past the thousands of spectators gathered in the grounds of the castle. See: Beaming Queen flanked by Charles and William at Order of the Garter. The traditional Garter hat is trimmed with heron and ostrich feathers. This image is closer to the design of the note. Yet the banknote portrait was prepared circa 1964, so the artist of the portrait must have stolen a time machine. I do like the design of the 10 Shillings/Fifty Pence note. I know they didn’t know at the time that a 50p coin would happen instead, but in hindsight it’s a pity they didn’t develop this design (in green) for the £1 note instead. The £1 was the last to adopt the Series D design in 1978, and its demise ten years later meant it was in use for the shortest amount of time. Though I suppose it’s not much different to today when the outgoing £10 note uses a design that was replaced on the £20 ten years ago. I meant that it takes quite a few years for every note to be replaced by the current series. 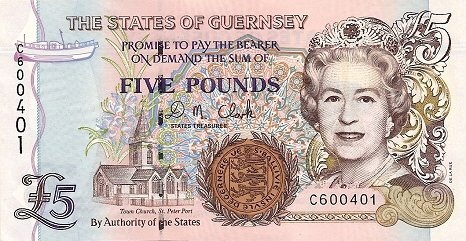 In Series D’s case it was eight years (the £50 was a new denomination so doesn’t count). Series E (Variant) £20 notes were replaced ten years ago, but it’s only now that the series is disappearing for good with the outgoing £10 notes. I see. It sounded as if you meant that the tenner had used a design meant for the 20 quid note. I was muchly confused. I’ve googled the other pound-at-par users. Of these, I can’t see that Isle of Man or the Falkland Islands use portraits any newer than ours. Jersey has its own but Guernsey, Gibraltar and St Helena all appear to be using the same one. Although the Queen is shown with grey/white hair, both portraits are idealised. I can’t really imagine the Queen smiling like that! Guernsey, Gibraltar and St Helena all appear to be using the same one. Different versions of the same one. Interesting. Does De La Rue print all their notes?